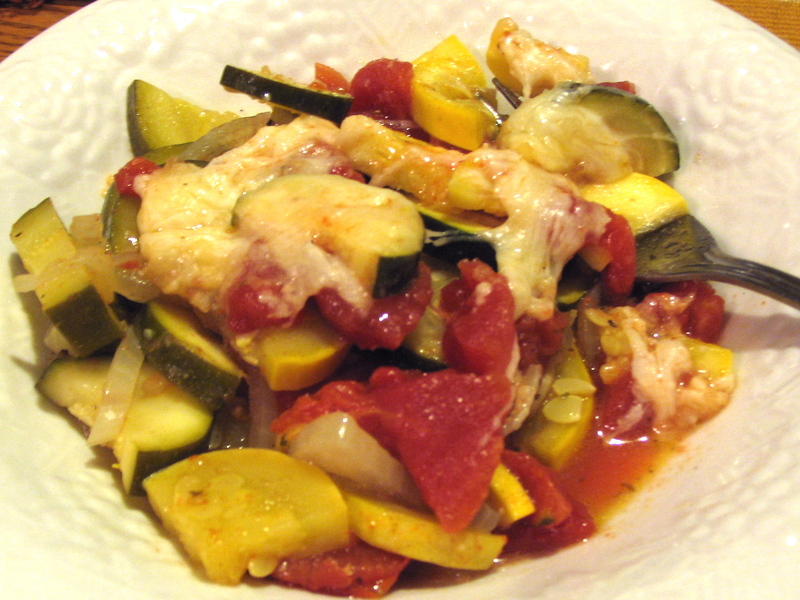 We’ve got a great, easy and VERY tasty veggie dish!! I will share my secret ingredient with you and when you make this for your kids… hubby… or boyfriend… they will jump up and down and beg for more!!! I promise this!! Let’s start with some yummy veggies. Yes, we can find these same veggies mostly year round, but they are far more plentiful at certain times of the year and if you have a garden, you probably grow most of them! I don’t have a garden, I’ve tried… alas… it is not my calling to grow anything in the ground. I like to get my veggies at the local Farmers Market…. or in a pinch, Safeway! 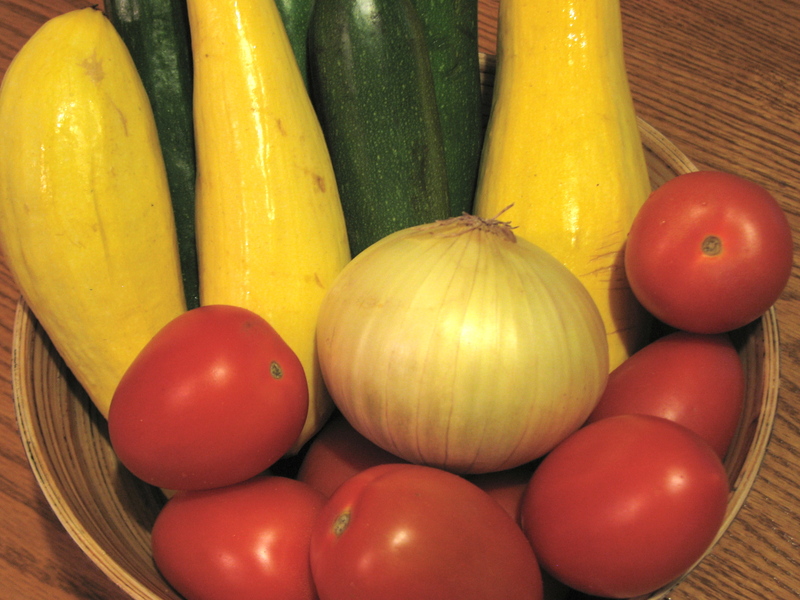 Here we go….. Take you beautiful fresh veggies and slice into nice bite size pieces. 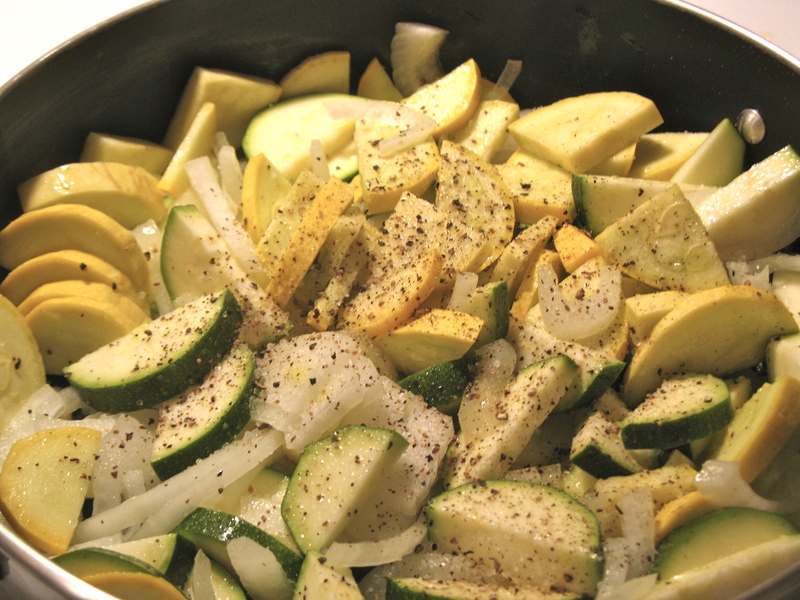 Then take your zucchini, yellow squash & onions and place into a skillet with a drizzle of EVOO. Top with some sea salt and cracked pepper, then saute for about 3 to 5 minutes over medium heat (be careful not to cook too much, we want them nice and firm). Fight the urge to add more spices… you don’t need them, the flavor of this dish will dance on your tongue! When time is up, transfer to baking dish and add 1 can of Italian Stewed Tomato’s. I also like to chop some fresh tomato and add to the mixture. Here is where we add the secret ingredient… Ready??? 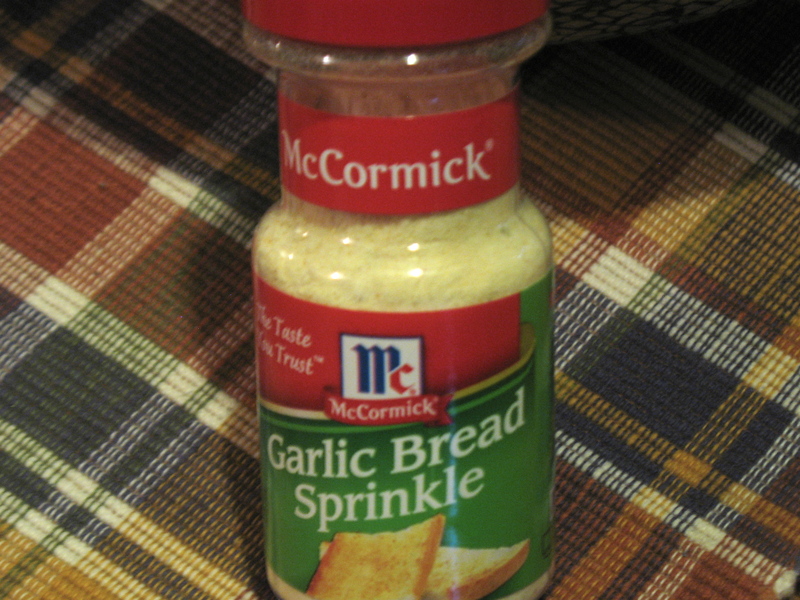 Just shake about 1 to 2 teaspoons of Garlic Bread Sprinkle onto the mixture and stir… top with shredded jack cheese (or whatever you have on hand) and pop into the oven at 350 for about 45 minutes! Scoop out a serving and taste…. It’s really delicious…. even non-veggie eaters seem to love this dish!! If you’re anything like me you won’t be able to shove it in your mouth fast enough!! You’re gonna LOVE this dish! !